The ‘No. 1’ & ‘No. 4’ Music-Inspired Hand-Made Watches by Lin Yong Hua « Adafruit Industries – Makers, hackers, artists, designers and engineers! 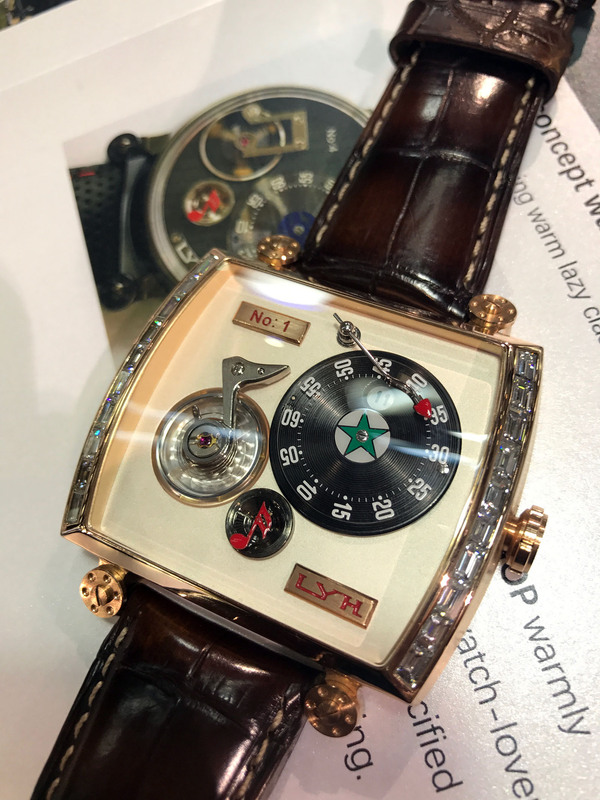 SJX have a great write-up on the ‘quirky’ watches of Lin Yong Hua, including his signature No. 1 and slightly more affordable No. 4, both inspired by designs associated with music including musical notes, turntables, and tone arms. His flagship timepiece is the No. 1 that has a turntable-inspired time display. The minutes sub-dial is modelled on a turntable, with the minutes shown on rotating, miniature vinyl disc, pointed to by a polished, red-tipped turntable arm. The watch also features a jump hour at 12 o’clock, and an exposed balance held by a bridge shaped like a musical note. Even the seconds at six o’clock is a miniature of a speaker dome topped with a red musical note. More wearable and conventional with a 42mm round case, the No. 4 inherits most of the features of its bigger sibling, albeit with some concessions due to its much more affordable pricing. 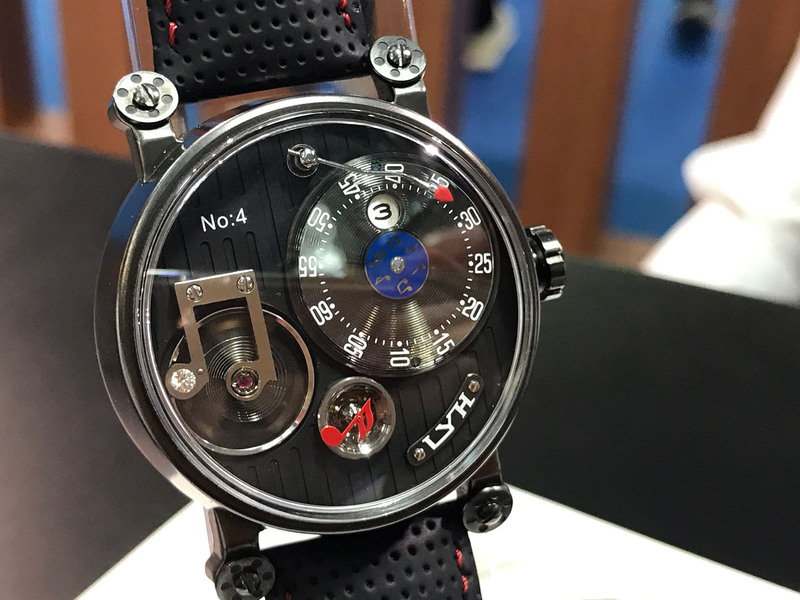 The case is steel, finished in a gunmetal PVD coating and topped with a domed sapphire crystal.